This concert held on October 16th, 2011, included bass violin works from the instrument's origins in 16th- and 17th-century Italy, reaching to the violoncello sonatas of the eighteenth century from throughout Europe. The performers exchange leading and supporting roles, interweaving solos with text from "Orlando Furioso,' written in the 16th century by the Italian poet Ludovico Ariosto. This masterpiece features the brave adventures of Bradamante and her decision to pursue her love of the saracen, Rogerio. The music alternates between divisions and improvisations on popular songs as well as sonatas by composers such as Boccherini, Abel, Barriere and Bononcini. Shirley Hunt makes herself known in the San Francisco Bay Area and beyond as a rising star in the field of historical performance. 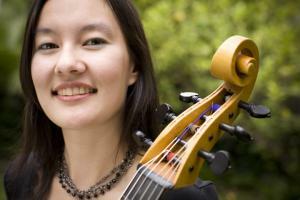 Ms. Hunt performs on baroque cello and viola da gamba with Philharmonia Baroque Orchestra, the American Bach Soloists, Musica Pacifica, Agave Baroque, Sonoma Bach, and the cello duo Bradamante. Other recent engagements include performances with Portland Baroque Orchestra, Musica Angelica, San Francisco Renaissance Voices, Berkeley Opera, Archetti, Bach Collegium San Diego, and Faire Violls. In addition to numerous orchestral and chamber performances, Ms. Hunt also appears as a recitalist and concerto soloist across the United States and Europe. 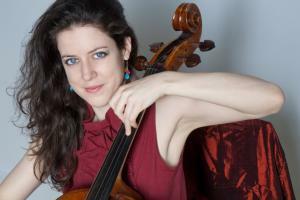 Currently Doctor of Music candidate at McGill University, where she is also a course instructor, Elinor studies baroque cello with Paolo Beschi in Como, Italy, and in Montreal with Susie Napper, as well as modern cello with Matt Haimovtiz. She received a Master of Music degree from the Juilliard School and a B.M. from the Mannes College of Music. Elinor has served on numerous faculties including the Ithaca College Summer Chamber Music Institute, CAMMAC Ontario, the Ithaca Suzuki Institute, and Orvieto Musica in Italy.